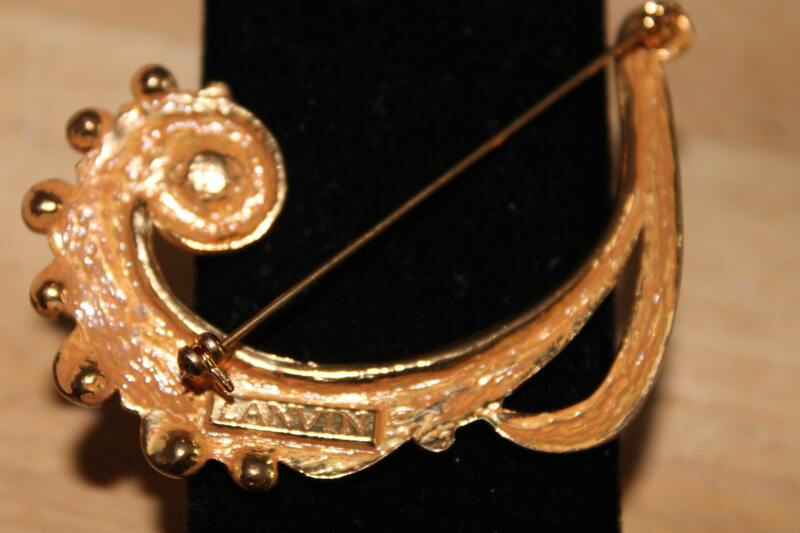 These early vintage Lanvin pin is exceptionally stunning and in great demand by collectors. 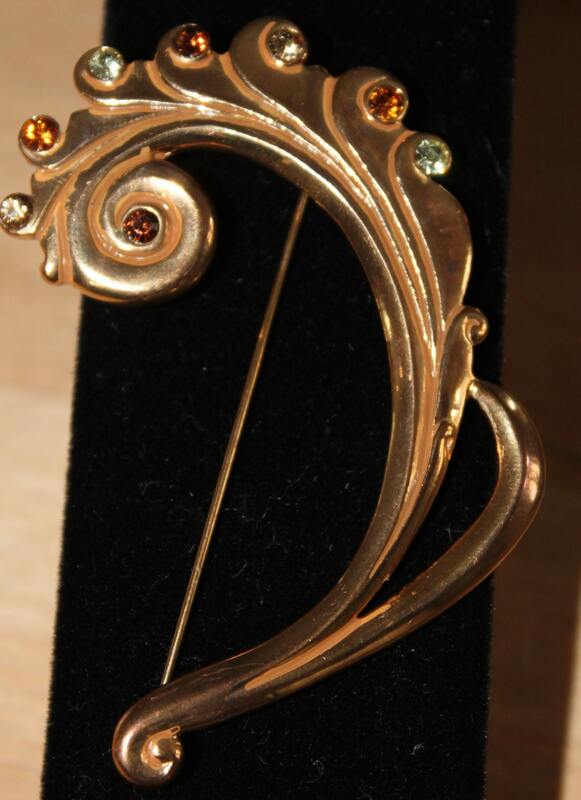 Excellent condition vintage runway couture signed LANVIN Paris Baroque Pin Brooch. Made in France Pin. 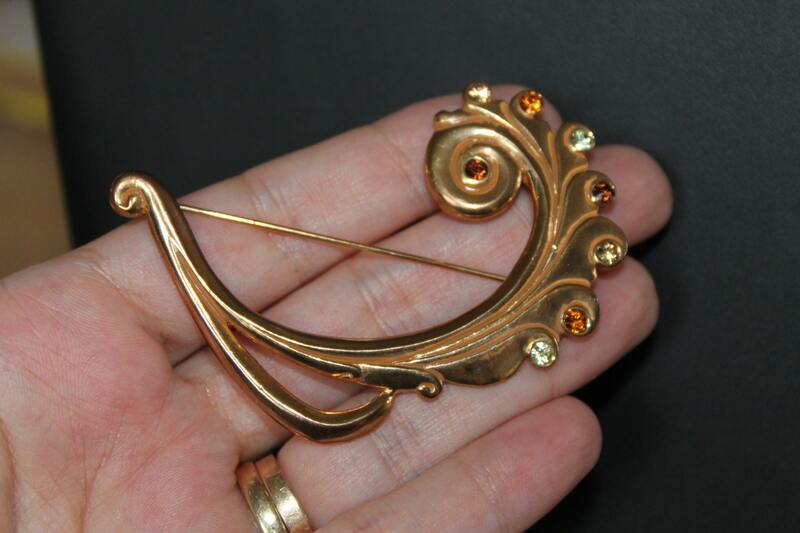 Fabulous gold tone baroque shape, metal all textured ornate with assorted rhinestones. Signed: YES - engraved gilded tag at the back: "Lanvin"
Dimensions: 2" 13/16 x 2". (7,1 x 5,0 cm).